Have you ever wanted to make a unique stir-fry? 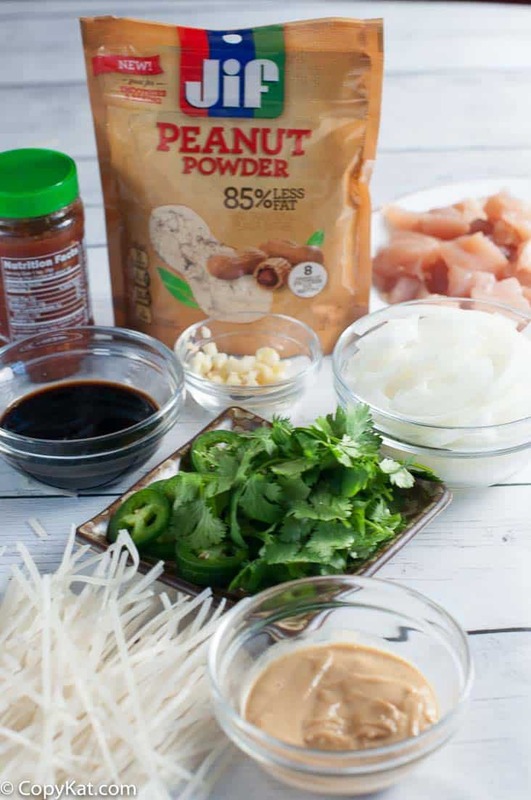 Have you ever tried making stir fry with peanut butter? 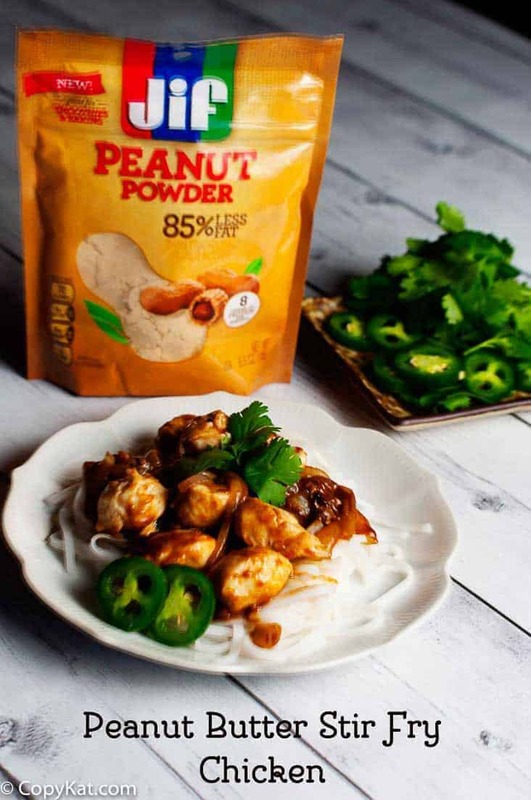 JIF’s new peanut butter powder makes a delicious stir-fry that everyone will love. You may have seen a new product in your grocery stores lately, it is Jif® Peanut Butter Powder. This has 85% less fat than your usual peanut butter, but it has all of the flavors. 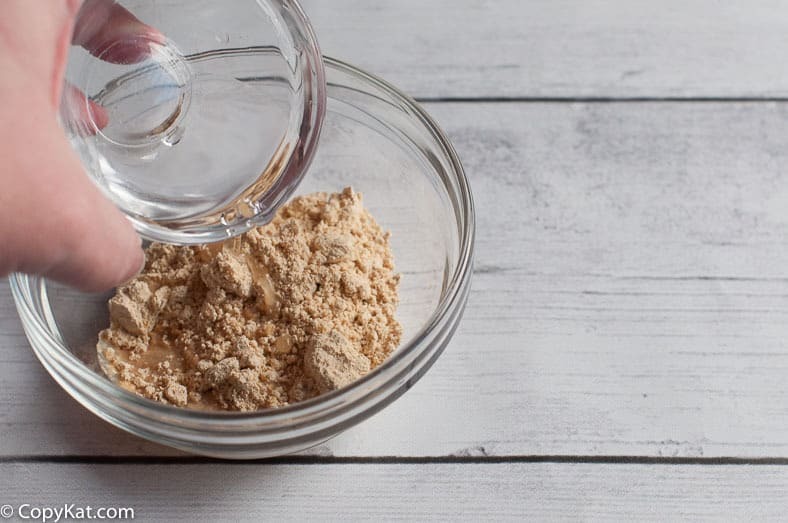 You can use peanut butter powder in smoothies, shakes, baking. You can even use it in cooking savory dishes. I love stir-fried chicken; it is a great quick dinner to make. I make this recipe with chicken breasts, soy sauce, brown sugar, Jif® peanut butter powder, onions, garlic, garlic chili sauce, and a touch of oil to saute the chicken in. You don’t even need a fancy wok, I use a really hot skillet. I also use rice noodles; you could use rice or even pasta for this dish. I find this dish a great gateway into a stir-fry. I like Jif® powdered peanut butter; it isn’t something I normally eat a lot of, it is high in calories. I like this is lower in calories, and I can hydrate exactly the amount of peanut butter I need. In smoothies, this gives me an extra kick of protein without the additional calories and fat. Peanut Butter Stir Fry Chicken is so easy to make. While chicken is cooking combine Jif® Peanut Butter Powder, water, brown sugar, soy sauce, and garlic chili sauce. Stir until well blended. When chicken is done drizzle sauce over chicken and cook for about 1 minute. Remove from heat. Serve stir fry with noodles or rice. Nice receipe, thanks for sharing, i like peanut butter very much. Wow, you have such stunning photos! And these stuffed bell pepers – YUM! These have been on my bucket list for so long – thanks for pushing me to finally give it a try! Oh! I never would have thought of using it that way! Wonderful post- pinned it for later! What is your favorite type of stir fry?